First, a few words about the art. Taken by POD’s housemate (the male one, not the toddler), this image captures not only an impressive ginger shoot, but also, proof-of-life style, dates the image to the February issue of GQ. Which arrived in January. And just moments ago the GQ hit the curb for recycling and the rhizome was finally planted. 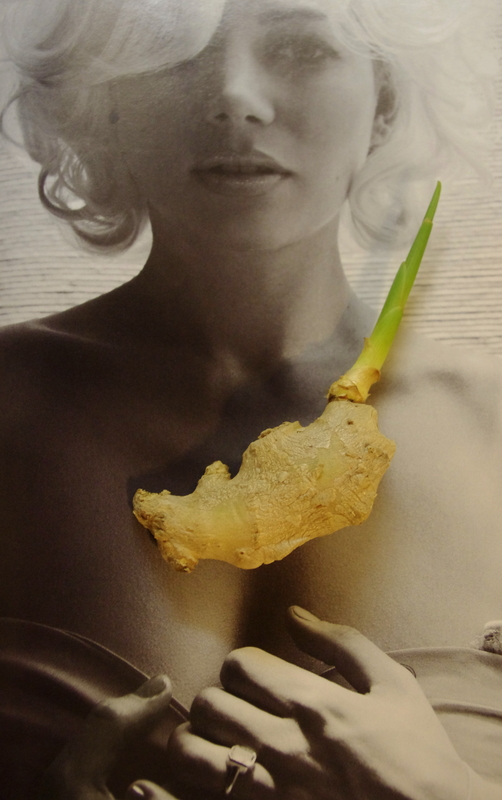 Around here, at least, that’s how long it takes to place a chunk of ginger on a bed of soil. According to Don’t Throw it, GROW IT!, the resulting plant will resemble bamboo and in six weeks may be as tall as three feet. Which means there’s at least one thing in the house that will grow faster than a toddler.